Day 1- Conducted at East Lyme High School. $119.95- (Free Log Book from New England Dive)- Get E-Learning code directly from New England Dive.- Complete the 16 chapters and quiz online, at home, at your leisure. Special Student discounts of 10% on entire store. (This discount brings product costs below internet pricing. )- Come in for a Custom fit Personal Gear package: Mask, Fins, Snorkel, Boots, Defog, Mesh bag. 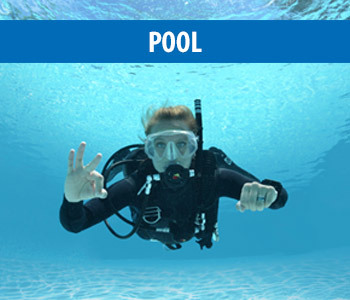 $250.00 Value- Complete the Open Water training portion of course. Includes: Instruction, Gear, and Printed C-Card. 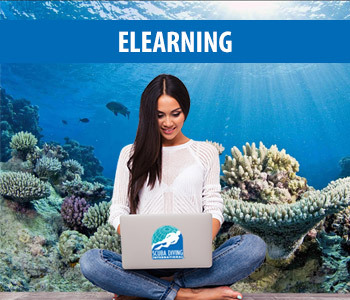 Any student that has preregistered for this group Open Water Scuba Diver course should arrive at East Lyme HS with their E-learning materials completed for the first day of Confined Water 1 (CW1) Training. This is day 1 of 2 for the East Lyme Program. Day 1 of class is held 1/2 in a dry classroom setting & 1/2 in a pool. During this time we will issue the life-support equipment needed for later in the day, and for CW2 (Day 2 that is conducted in only a pool setting). The class will start by filling out paperwork, and lecture about the information learned using the E-learning program. There will be a break between dry classroom and pool on this day. Day 2 of class is held in just the pool. Call NEW ENGLAND DIVE Now to Register! 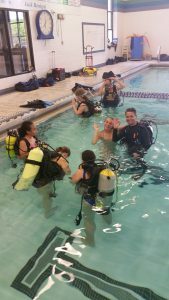 (203) 284.1880 (Mention the East Lyme Open Water Scuba Diver Program and Instructor Pete Naktenis.